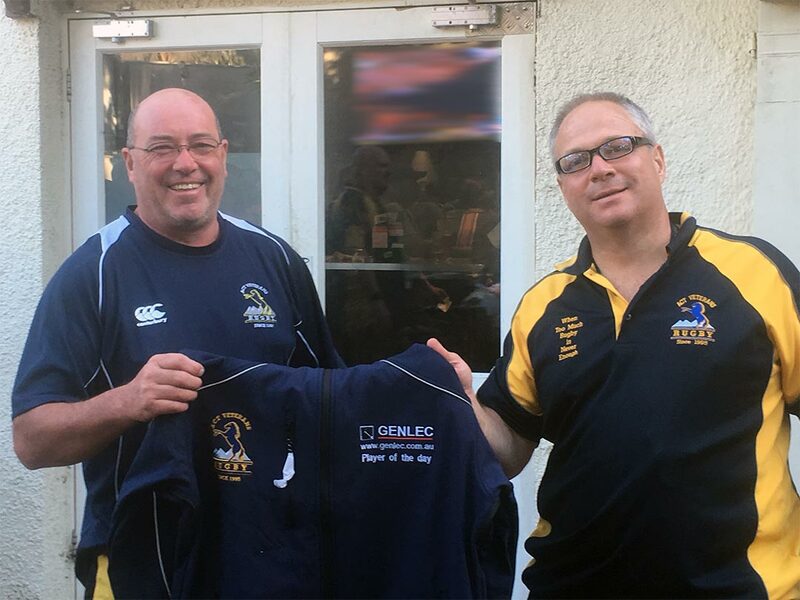 Carlo Vlok handing over Player of the Day jackets provided by Sponsor GENLEC following the April Fools Day festival. 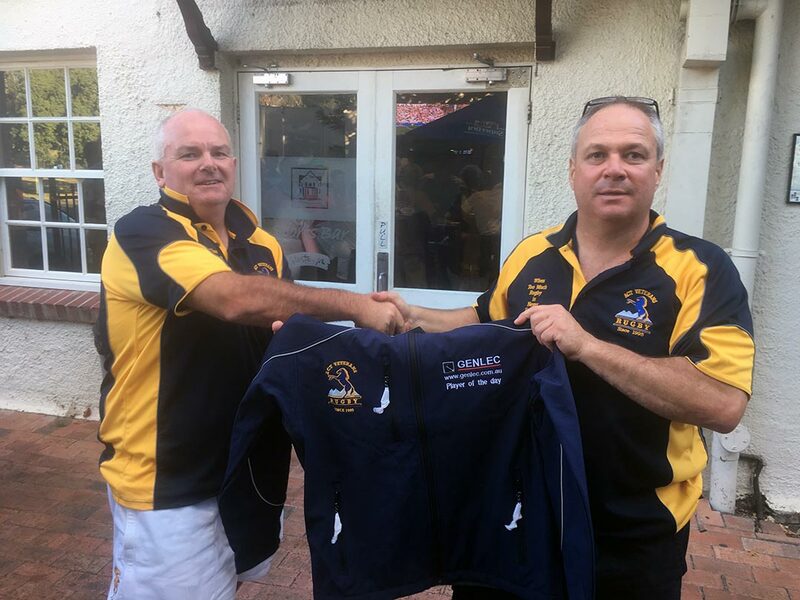 The ACT Veterans rugby community is mourning the loss of its oldest and most popular player, Ian Wells, who died last week less than a month after his last game for the team. I take this opportunity to mark the passing of Ian Derek Wells. Ian was born in Ceylon, as it was then known, on 9 May 1934 and died on 1 March 2016. Ian spent his professional career in the RAAF and was a very distinguished pilot. He spent some time in the USA flying high-level altitude surveillance jet aircraft. In 1962, Ian and his wife, Ingrid, also now deceased, moved to Canberra. Ian was, like me, a rugby tragic, involved with the Easts Rugby Club for 55 years. He was a life member of that club. 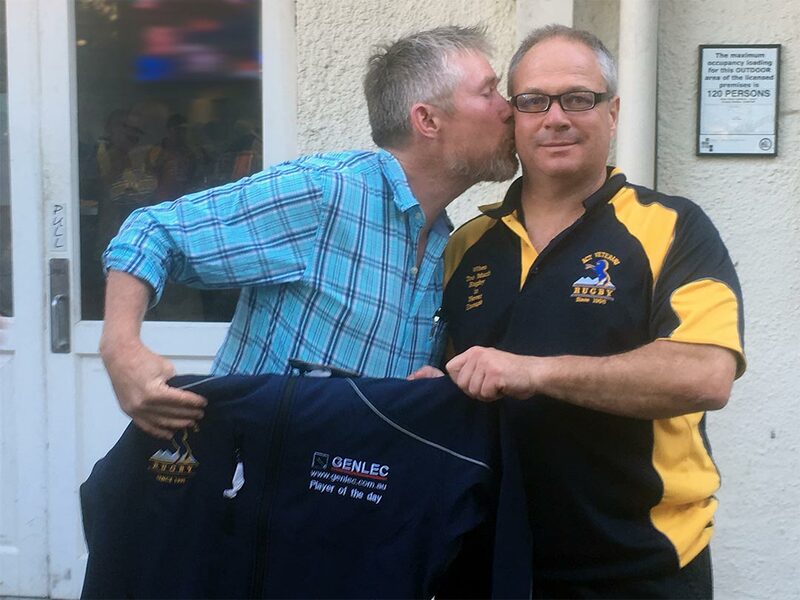 Ian had been with my own club, the ACT vets rugby union, since its very early days, and last year received his 20-year badge. Ian contributed to both rugby and swimming here in the territory for over 50 years, as a coach and manager. Ian was instrumental in the creation of the ADFA women's rugby club, which went on to foster many fine female players. Ian will be sorely missed by the rugby community, friends and, of course, his family. Ian is survived by his sons Addam and Brendan—he had another son, Sean, who is also deceased—by Addam's and Brendan's partners, Kim and Karen, and by grandchildren Serena, Jade and Rhys. Ian was buried today at Gungahlin cemetery. Madam Speaker, if indeed rugby is the game they play in heaven, Ian will go straight into the first 15. My thoughts are with the family. Wells was 81 and still played for the veterans, including one last hit in the Tony Ryan Memorial match on February 14. He started playing for the veterans in 1995 and was awarded a 20-year badge at the club's annual dinner in October last year. Past and present veterans players formed a guard of honour at Wells' funeral on Thursday as he was farewelled at the Norwood Park Crematorium.